I am a big fan of list of things “to stop” doing. 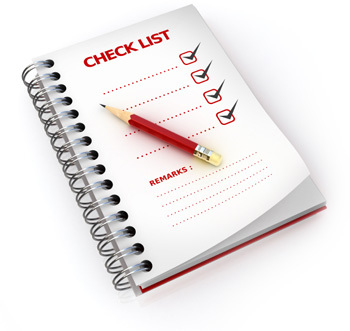 We all have “to do” lists but we all need more “to stop” lists. Here is a good one for leaders. Out: Micro-management, or the need to control every aspect of your company. In: Empowerment, the ability to give your people some rope–even rope to make mistakes without blame. Out: Management by walking around the office; it is no longer enough to be visible. In: Leadership by watching and listening, engaging in conversation, implementing the ideas presented to you, and distributing the results. Out: Pretending you know everything. You don’t have all the answers, so why try to make people think you do? In: Knowing your leadership team members and trusting them. Choose great people who have the right skills and fit the culture. And get out of the way. Out: No mistakes, or a “no tolerance policy” some still think works. In: Learning from mistakes, or being the first to admit an error. Out: The balance sheet drives the business, and informs all other decisions. In: People drive the business, boosting customer loyalty, and profit. Out: Job competency is sufficient. Do the job asked, and you’ll survive. In: Recruit “A” players who will go the extra mile. They’re out there. Out: Invest in technology to increase productivity. In: Invest in people. Out: Demand change; be very specific about what you want and when. In: Nurture change; your people can come up with the best ideas and you can give them credit for it. Out: Fried food in the cafeteria. In: Wellness in the workplace. Out: Incentives; pay employees more money and they’ll do more. In: Rewards; being valued matters more than money. via Leadership Practices to Stop Today | Inc.com.